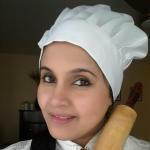 Hi, I'm Roxana, registered dietitian and recipe developer. Welcome to my little corner where I share my love for good food and nutrition through wholesome and delicious recipes with room for your food cravings. Healthy makeovers. Step-by-step photo instructions and videos.